I think everybody and their momma has heard about this stuff by now. But as usual, I am late to the party. I have read tons of reviews about this product from some of my favorite UK bloggers and a few from my US gals. But it was my good friend Hope’s review from her youtube channel BeautyAndBliss67 that finally made me take the plunge and purchase this stuff. 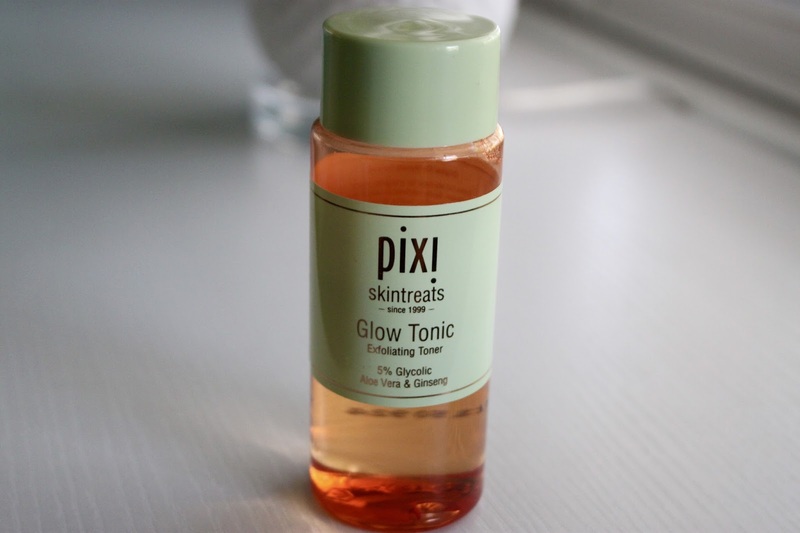 She and I both really like Pixi beauty products and feel like they just don’t get enough attention for their amazing products. So I thought that even though this tonic has been out for quite some time, it is still very worthy of a review. I purchased mine from my local Target for $15. My first reaction to the price was that I thought this was a little steep for a toner, but I understand now that this is much more than just a standard toner. 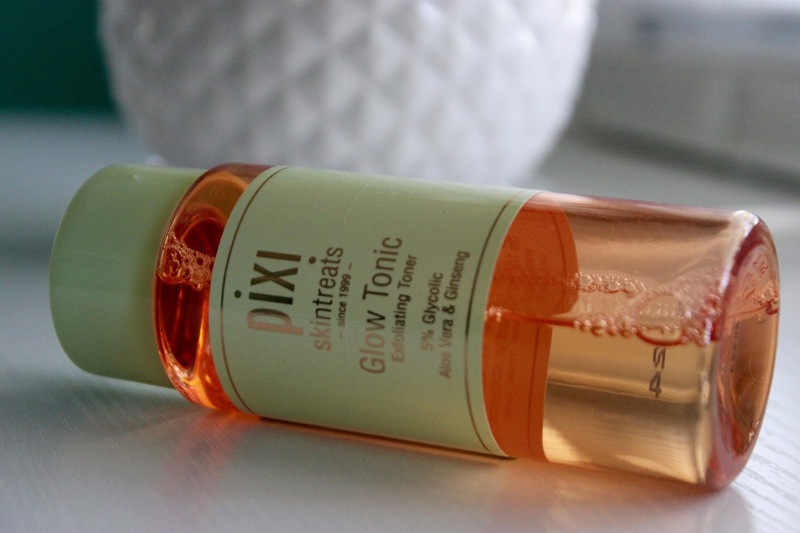 This toner is actually created to exfoliate and brighten your complexion at the same time which should result in a much healthier looking “glow.” It is formulated with 5% Glycol acid so it also smooths and soothes your skin tone and skins texture. It also contains some fabulous ingredients like Ginseng, Aloe Vera and Botanical Extracts that all work together to help improve your overall complexion. I have a very sensitive skin, an uneven skin texture and tone, as well combination skin. So it’s always fun to find products that will work on my “not so great” skin. This tonic is super gentle and I didn’t have any type of reaction to it which is obviously a good thing! And usually most toners tend to sting my skin but this one didn’t sting at all. There is not much of a scent to it either which I really like, because there is nothing worse than slathering on a stinky product all over your face. I have started using this in the morning before applying my moisturizer and then again in the evening after I have removed all of my makeup. I didn’t notice much of a change in the first couple of weeks, but now I have been using it for over two months and I have seen some great improvements. My skin is looking much more supple and brighter. I generally have very dull skin (even though I lightly exfoliate daily) but this has brought a new and very refreshing glow back to my facial skin. I think this product probably works best for those of us who actually have skin issues such as myself with the dullness. Because I have read where some people just don’t think this stuff works and I quite disagree. I think this needs to be a beauty staple in my arsenal from now on. From the Aloe Vera and Ginseng to the other soothing botanical ingredients, there is nothing bad about this product. It has helped to sooth and calm the redness that I have on my cheeks and chin. And it has even changed my overall skin texture within just his last month. I am seeing a much more even skin tone now than before. I wish that I had taken a “before” picture of my bare skin so I could show you just how much this has done for my skin. I will definitely be repurchasing this and I hope that if you try it, you like it too. But just like with any products, they all work differently on different people. SO while this works absolute wonders for me, it may not be for you. But if you do suffer from redness, dull skin, or uneven skin tone or texture. I say give this a try! Let me know if you have tried this and what you think about it. 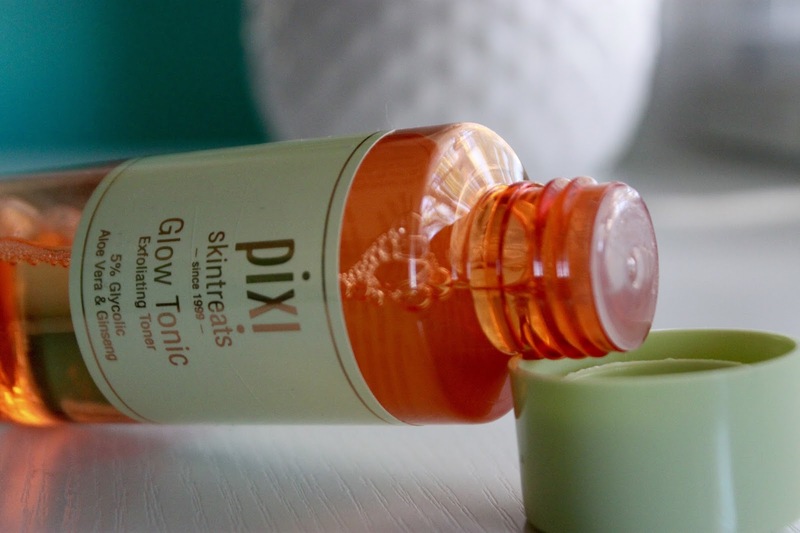 Or if you have any other Pixi beauty favorites that I need to check out! i love this stuff! cult product status, right here. thank you for your sweet comments on my blog, esp about the sponsored post one. have a great weekend! I use witch hazel as a toner but I have started to get redness and uneven skin on my cheeks. I think it is a mild form of Rosacea (my mom has it worse than me). This maybe be a great product to try out to see if it helps with that. Thanks for the honest review Julie! You really can't go wrong with good old Witch Hazel girl! And it's good for so many things! I just started making my own bath bombs and witch hazel is one of the ingredients! I thought that was interesting. I think I have mild Rosacea too. I guess I need to ask my dorm next time I see her! Thanks for stopping by gorgeous! I just got this toner, but I really like it so far. So glad it works for you! I'm really glad it is working well for me too. I love trying new skincare but hate when I buy something and do not get the results I had hoped for. I have not tried this, but I definitely need to give it a try. Everyone seems to love it!